society, through archives that write the history, as well as in people. The obsession for history, ours, that has been forgotten or has remained confiscated in archives by those who wish to keep it that way, has led Voluspa to look into that portion taken away from each of the individuals, taking as conceptual and aesthetic manifestation forms that are seen as gadgets or devices that latently are always about to reveal something. The artist has conciliated her political call through art and the incorporation in the art market, incarnating this reconciliation that should be typical of the current times, in which the freedom of declaration and speech should be in the freedom of creation, movement and manifestation. The intervention “Síntomas de la Historia” (Symptoms of History) in the Santiago National Library in 2009 shows these two narratives Voluspa works with; hysteria and history occurring in an installation. Then, in 2010 she carries out the project “La Biblioteca de la No-Historia” (The Library of No-History), which characterizes the gesture and operation she has made since then; 608 books form a history told through the collection of CIA classified files related to our history between 1968 and 1991. The same project was again displayed in Switzerland the year after. “Minimal Secret”, presented in Spain in 2012, brings forward Jarpa’s rubbing-out signature and the declassified files are transferred to acrylic sheets laser cut. In 2014, at the Bienal de São Paulo (Sao Paulo Biennale), she presented “Historias de Aprendizagem”, one again using her desire to reveal the history that the political power has hidden to us. This time, she refers to CIA declassified files related to the Military Coup that took place in Brazil in 1964. Her big and first solo show took place in the Buenos Aires Museum of Latin American Art, MALBA in 2016. 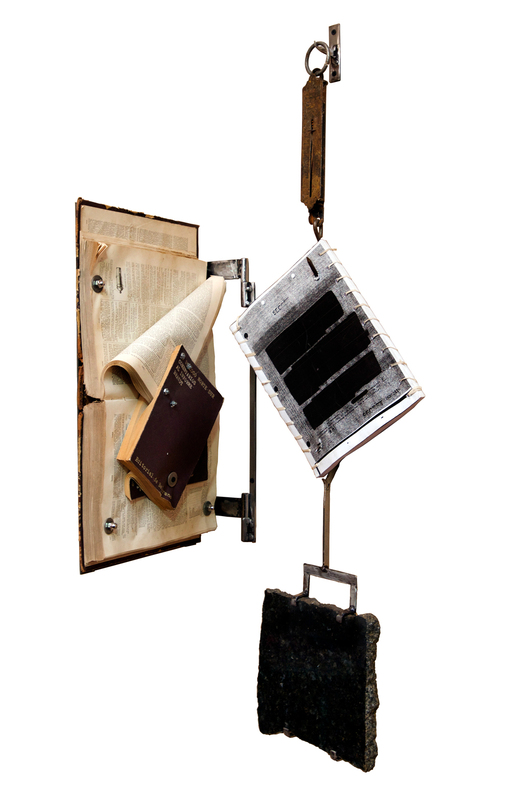 “En Nuestra Pequeña Región de por Acá” (In Our Little Region of By Here) is a site-specific exhibition formed by twelve pieces that include paintings, objects, installations, videos, sound recordings and historic documents in which two research axis converge: the United States declassified files in 1948 and 1998, related with the North American minimalism, and the murder or death for unknown cause of Latin American leaders during the Cold War period. The same exhibition had an adapted version in the beginning of 2017 in the Gabriela Mistral Gallery and at the end of the same year in the Matucana 100 Cultural Center, both places located in Santiago de Chile.